L’Assiette Champenoise, is a family-run hotel located a short drive from Reims city centre. The hotel has an excellent range of quality facilities, including an acclaimed restaurant, fronted by renowned chef Arnaud Lallement, which holds three Michelin stars. Recently refurbished in an art-deco style, the hotel’s ambiance oozes luxury and immaculate class. Room grades range from Tradition to Jacuzzi Suites. Maison Lameloise is an elegant mansion nestled in the Burgundy vineyards. The establishment combines an elegant and cosy hotel with a world-renowned restaurant, offering a great example of French hospitality. Triple Michelin stars’ Chef Eric Pras proposes a superb range of creative dishes cooked with fresh seasonal products at the restaurant. 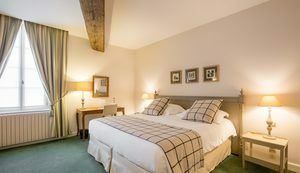 The hotel has 16 comfortable rooms, each decorated with taste in a traditional French style. The Maison Pic is located in Valence, a charming city, capital of the Drôme department, on the left bank of the Rhône River. The establishment is renowned for its gastronomic restaurant which boasts 3 Michelin stars. Chef Anne-Sophie Pic creates feminine dishes with a distinct sensitive touch. On site, you will also find an authentic bistrot, a gourmet grocers as well as a cookery school. 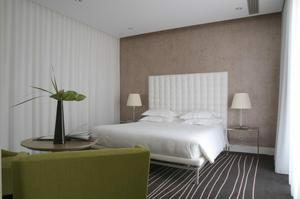 Each room are comfortable and cosy, decorated in a contemporary style and offer a relaxing atmosphere.